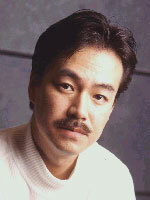 Hironobu Sakaguchi, Square USA, Inc.
Hironobu Sakaguchi was selected as the third inductee into the Academy's Hall of Fame. Appointed director of planning and development with the establishment of Square, Co. Ltd. in 1986, Hironobu Skaguchi was promoted to executive VP in 1991, and then advanced to President of Square LA, Inc. (now Square USA, Inc.) in 1995 with the establishment of a research and development base for U.S. operations. Since joining Square Co., Ltd., he has headed the Development Division. Through the Final Fantasy series of role-playing games, Hironobu Sakaguchi has set and kept audience expectations of quality at the highest levels with consistently engaging stories and beautiful visual entertainment elements. From the first installment, which sold 520,000 copies worldwide in 1987, to the latest game, which pre-sold a million copies in Japan in a record breaking seventeen days, Final Fantasy has introduced huge audiences of game players to cinematic role playing games. Hironobu Sakaguchi took the union of film and interactive entertainment a step further with his directorial project, Final Fantasy: The Spirits Within, the first computer-generated animated motion picture with photo-realistic characters. In addition to this, Sakaguchi will oversee the recently announced online service project "Play Online" as director, ensuring that he will continue to be at the forefront of influential designers that redefine the way we play.